What Makes Up our Military Family? There are more family members (57.6%) than Active Duty members (42.4%) in the DoD. Note from MilitaryAvenue.com: This chart represents all Active Duty members. It does not take into account our retired military members as well as our National Guard and Reserve Forces. Consider the fact that it is not only our service-members that makeup our "United States Military". The spouses & children should be considered when thinking about how to market your businesses to your local military installation. We will always be thankful for our service-members and the sacrifice they give for our freedom but don't forget the family members they leave behind. Military acronyms are frequently a source of curiosity by our civilian family and friends and a source of much humor in the military community! Recently, my father, a WW2 veteran, told me of an acronym used by his pastor in a sermon that had its origin in WW2 GI slang and had become part of American culture and language. When the minister was informed of what he had just said if the acronym had been spelt out in its entirety, he was pretty surprised. We don't want our MilitaryAvenue Partners surprised by the term PCS! While it does not contain any bad language itself, it might be considered to be the beginning of a period of bad language for many military families. A Permanent Change of Station is both a new location and new job for a military member and usually involves a long cross country trip and/or an overseas port. It also involves leaving friends and spouse jobs behind and finding new ones in the next location. We found them to be exciting times but also very challenging for the whole family for different reasons. What is the climate like? What are the schools like? Is housing affordable? What do we do with our pets? Is there going to be a spouse job market? Can we find entertainment along the way for family? Visit extended family en route? Where do we find long term stay facilities when we arrive? Can we find a house before we get there? Apartment, on base housing or off base? Do we need a new car? Will we take two cars or sell one? Store it? Is it going to be a DITY move? Another acronym which means Do it Yourself and involves time and back strain. Can we use a rental truck or trailer? Realtor? Mortgage Company? Do I need to find a local bank/credit union? Child care facilities? Where do we find the answers to all these questions, learn a new job and keep the family glued together? After answering many of these (and numerous others as well) 18 times we decided there had to be a help for military families in the Internet world! After the military orders arrive between February to April for a summer PCS (most occur in the summer) the time to dig into that new location gets serious! 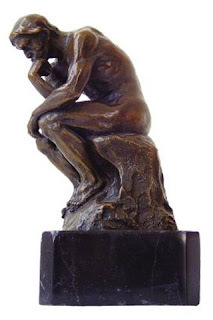 Many questions can be answered with some research at MilitaryAvenue (did you know that 100% of the military community have access to computer resources and 67% have made an online purchase?)! Almost all use it for research and assistance during a PCS! So many decisions are made long distance with the Internet resources available and so our military family found hotels en route, visited that National Park or amusement park to break up the trip, moved themselves with a truck rental, found a realtor they are looking forward to meeting upon arrival, found a new vet and kennel before arrival and a couple of spouse job opportunities look very promising! The school districts look pretty good but a visit upon arrival will be needed to make a final decision-maybe that realtor can help! Arrival time is here! Found the temporary housing/long term stay location with that great Military Reward and the temporary storage unit and returned the truck! 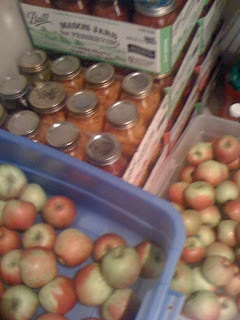 All arranged in advance but now what do I need to do locally? When does school start? Find that house or apartment in a week? Maybe two? Closing in 6 weeks! Where are the good restaurants? Movie rentals? Personal services-need a haircut before I meet the new boss! Dry cleaners? Clothes for the new area? (ever move from Iceland to Virginia or Florida to Iceland?) New household supplies and services? How about that housing inspector? Where is the new child care? Where do I print my updated resume for that new spouse job interview? Our Partners may not aware of the potential for the military marketplace so I found some data to show you how much money the federal government spent on military PCS actions in 2004! Ready to count zeros? The military personnel needs involved 757,595 relocations and $3,635,383,000*! That is $3.63 Billion in one year and it has historically risen about 5% per year! That is federal dollars and does not include personal funding! 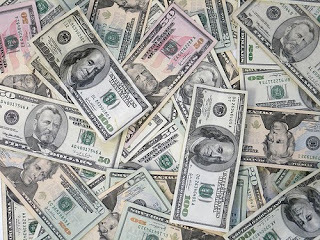 Many of those dollars are reimbursed to the military community for their costs for transportation, DITY moves, storage, meal reimbursement, long term stay facilities, and dislocation allowances to cover some of the individual costs involved in a PCS! So a large portion is discretionary funding for the military personnel! Where, when, how, and what is usually determined by the military personnel! 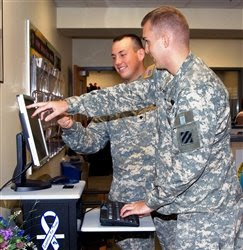 Our MilitaryAvenue Partners are critical to making a PCS a success for our military personnel and families! Thank you for your support to this hard working and Internet savvy community! MilitaryAvenue.com provides the STREET between the inside the gate community and Your outside the gate business! The kinship, camaraderie and loyalty of the military is legendary and unrivaled. As a result, it can also be a bit of a “closed club.” That’s why it pays to be a sponsor at your local military installation. Once you are, the power of word-of-mouth takes over quickly. That’s one reason why MilitaryAvenue.com traffic has grown so quickly and continues to build. It’s also why there is so much power in reaching the military on a site specifically intended for this unique audience. The perfect option for companies looking to raise awareness within a local base community, this sponsorship package is designed to fit the needs of regional firms or brands interested in a specific installation or geographic area. As a Base Sponsor your company will be integrated into MilitaryAvenue.com content dedicated to a specific installation. For an annual fee, your company will receive premiere placement as the exclusive sponsor for your selected installation. Multiple base packages are available. • Exclusive Sponsor Category Banner on all pages for selected military installation, links to extensive “more information” page. • Preferred placement in the local business directory of selected installation. • Preferred placement in the Military Rewards directory of selected installation. • Listing includes company logo, up to six images and a 100-character position statement. • Top placement in directory listings. • Sponsor summary and web link on MilitaryAvenue.com web site. • Opportunity to include up to six additional base specific images. • Direct link to company website. • Logo included in “Upcoming Local Events” page of selected installation. 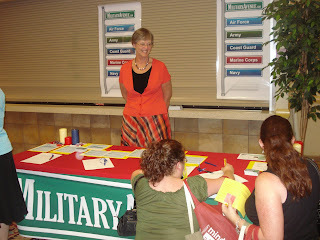 • Opportunities to deliver sponsor promotional materials to military community at special events and through mailings. Your Sponsorship will allow our services to grow and further assist military families. We will work hard to make sure you are rewarded as the “Sponsor”. Still want more information? Call our team at 616.855.4134 or send an email to dan@militaryavenue.com. Did you know there are more than just a hand-full of ways to thank a veteran? Our MilitaryAvenue team was busy brainstorming easy ways for the every-day American to thank a Veteran and we came up with quite a list! If you missed it check it out: "101 Ways to Thank a Veteran" It was featured at Army.mil, many-personal and professional blogs, a number of military-gear sites, facebook accounts, and tweeted all over twitter. People want to share how THEY can help support our US Veterans! Fall is definitely here and our beautiful leaves in Michigan are now gone! During October we continued to see a rapid growth in the number of new ads at MilitaryAvenue offering a Military Reward! 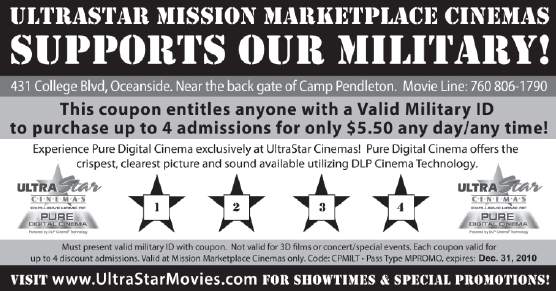 We enjoy seeing all of the new ads at MilitaryAvenue because they are connecting the military community with military friendly businesses that support the troops with actions! There are so many new ones and their great Military Rewards make choosing the best one a very tough job! The MilitaryAvenue team has chosen a military family owned photography business with a great MilitaryReward! 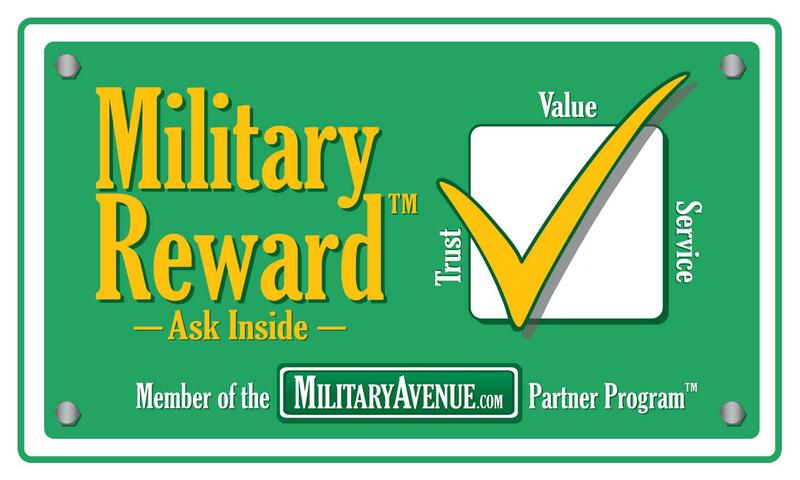 If you know of a business offering a military discount tell them about MilitaryAvenue! 25% Discount to Military Personnel & Family. Thanks for serving our country!!! Click here to view the coupon featured at the Pentagon, Andrews AFB and Ft Myer. A special thank you to Bittner Photography and all of our MAPP partners for supporting your military community with your Rewards. "Walk a mile in my shoes" is usually used to describe what you should do before you criticize someone. I would like to use it differently to describe what you should do while considering marketing to the military community! Have you ever walked a mile in a pair of combat boots?! How about the sneakers of a young child who has a parent in Iraq/Afghanistan and fears they might not seem them again? Or the heels of a woman who goes to bed every night without her husband knowing he is flying dangerous missions and she can't fall asleep without praying for him for an hour? Or wear a husband's dress shoes while he worries about his wife in a combat zone without him nearby? How about a parent's work shoes that raised and protected a child and now that child is in combat and they can no longer protect them? Those "shoes" reflect the military community and what they face day to day and cope quite well with I might add due to community support such as yours! Schools, military programs, the Red Cross, YMCA, etc have all leaned forward to help the military community while it is fighting the nation's wars and you as a MilitaryAvenue Partner are doing the same! Thank you so much! Tell your story while you listen to theirs! How do you walk in their combat boots in your ad! A simple "thank you" says a lot! Take the time to make the ad tell your story of support and appreciation. Make the Business Profile and Military Reward have some pzazz! Believe me everyone likes a buck but some times recognition for a sacrifice, job well done, etc. carries a bigger kick when reviewing an ad. 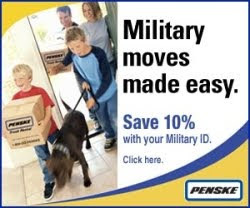 Update your ad with a year round MilitaryReward but if there is a special event add a special for the troops coming home, Veteran's Day, Memorial Day, Armed Forces Week, etc. Once you make contact with a military community member interested in your services or products; make it stick by showing appreciation for veterans, military members and their families during business hours! Train your front line sales personnel to look for an ID card at the register and tell them about the military specials and say thank you! How do you present yourself as military friendly! Have you hired a veteran recently, a military family member or the teen age/college age kids of a deployed parent? Do it and then tell the community about it! Show how military friendly you are! Veterans Day 2009 - What are you doing to honor our Veterans? We are searching high and low for the businesses are taking the time to appreciate the military veteran this Veteran's Day. 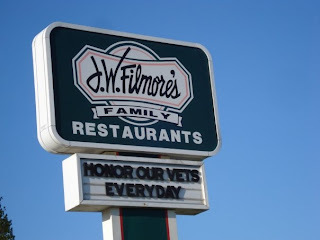 Not just your "Veterans Day deals" for the general public ... but the restaurant, the local merchant, the flower-shop, the home-improvement store, you name it, that wants to show their genuine appreciation for our veteran this Veterans Day 2009. Click on our list above and revisit as we get closer November 11. We want to hear from you, too. If you know of an area military-Veteran's Day celebration place it as an event at your installation or if you know of a merchant (like yourself!) that is tipping their hat and digging into their bottom-line to honor our veterans send me an email with the details! We look forward to hearing from you & finding out how our veteran's are being served! We are always looking for new ideas to help the military community as they relocate, travel, seek new information about their area and find ways to reach out using online resources! So we were quite excited when the idea of an Area Tourism category was suggested. We decided to create this category to fill this need for Tourism Offices, Convention Bureaus, Chamber of Commerce or other organizations to reach out to the military community. See our first ad in Area Tourism that was placed at Ft Campbell and Ft Knox by Vevay/Switzerland County! It is a great ad and provides great coverage for all area businesses (many of whom have their own individual ads in their categories providing a great synergism)! 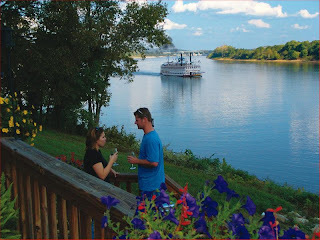 Does your area have an organization that handles tourism? If so, let the military know about your great resources, rest and relaxation opportunities, area highlights, tourist sites, etc through an ad at MilitaryAvenue in our newest category! Remind them how often the military relocate and how transitioning in a new community can be stressful! Helping a military family find resources is the least we can do for those who serve us all so well! Thank you from the MilitaryAvenue team! 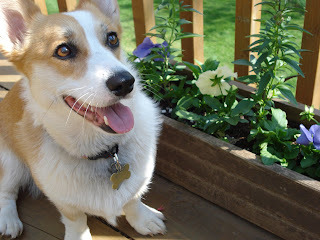 The heat of summer is here and our pets need to be groomed to help make it easier for them. Here is a great military family owned company that will come to you in the Panhandle of Florida! We give a ten percent discount to all active, reserve, Guard, retired military and family members. Present this coupon for a free bag of Boggy Dog Bakery Gourmet Dog Treats at your pet's first grooming appointment. Limit one bag per family. Discount not available on "The Basics" grooming package. Click here to view coupon featured at: Eglin AFB, Hurlburt Field or Duke Field. A special thank you to Zoom Groom Mobile Pet Spa and all of our MAPP partners for supporting your military community with your Rewards. Are you a member of a group such as the Chamber of Commerce, a Mall, or Neighborhood Association? Want to start your own military friendly organization in your town like several businesses near Ft Leavenworth have done? The winner of the Featured Military Reward this month is a Mall with several businesses offering a Reward for military service! This could spur others to do the same! We have recently added two more installations to MilitaryAvenue.com at the request of our users, our military family! It is exciting when we get feedback from our military members and their spouses. Daily we find out what they want on the site, what they haven't been able to find anywhere else, what is missing, what we can improve, what they *love*. So for the moment we have two 'stubs', Camp Shelby Joint Forces Training Center, near Hattiesburg, Mississippi as well as Broken Arrow Armed Forces Reserve Center, near Tulsa, Oklahoma. Do you have colleagues in this area? Let them know! They can be the first to offer a Military Reward in their area on MilitaryAvenue; and for that I am sure they will thank you! These two installations won't be stubs for long. Before we know it they will be full-fledged, jam-packed with information installations! The more military-discounts we offer in an area the more military-families we draw. The more families we have using MilitaryAvenue the more exposure your own ad gets! It can't get much better than that. So send a shout-out to the area-businesses you know; help us spread the word! Not all Military Spouses carry a purse, but they do hold the purse strings! Statistics show that the majority of today's military members are young, educated, computer savvy and married. These are your neighbors! These are your customers and clients. Military spouses, like their active duty counterparts, must learn to adapt and operate in new environments. Environments that may change every two to three years. The news is full of stories about the continual deployment and regular overseas tours that are part of the military lifestyle. The spouse is the family member that is left in charge to handle the needs of the family as they occur with purse strings in hand. A 2005 report, published by the Office of the Deputy Under Secretary of Defense focused in on Military Spouses. There are 679,738 spouses of Active Duty members. Just over half (51.2%) of the spouses are 30 years of age or younger. Nearly 30 percent (29.4%) of the spouses are over the age of 35. Not content to just take a stab at what is best, today's military families do their homework and are expert Internet researchers. Because of your participation, MilitaryAvenue.com has grown to become a trusted online resource and an excellent place to showcase your enterprise. The sheer numbers of Military Spouses are astounding. This is an audience with members that shop and participate in your neighborhood. For the most part, this is a new and mobile society. One that does not have the comfort of shopping at the same place year after year, because all too often every few years are marked by household set ups in different states or even hemispheres. As a military spouse for many years, I can say from experience that some of my best commercial relationships, were built with those who warmly welcomed us in the first few weeks of our relocation. You would be surprised at the things that made a difference. Often times it was something small, like a warm smile, a helpful attitude, or hearty hello, that drew us in initially. This summer season, keep an eye out for new faces headed your way. Each one is a new opportunity to be at your personal best. Thank you for serving those who serve! **A 2005 report, published by the Office of the Deputy Under Secretary of Defense, under contract with Caliber, an ICF International Company. Images! Don't they send a message? We see a million a day and some stick to us like velcro! This restaurant's message caught our attention as we drove by during a weekend trip. If we are ever back in the area and need to stop for a meal I know they will be our choice. Why? Their message was clear and they reached out to say thank you to veterans. How do you send your message to the military community nearby? Do you recognize them? Thank them? Does your message resonate with their needs? I am so impressed with one of our Partners who reaches out to her military audience and knows how to as well! Susan of Main Street Pet Resort and Day Spa in Platte City, Missouri knows the Ft Leavenworth military community. She participates in installation events and sends us "Event" information to help new military families find their way around. She is also a business leader and helps coordinate other business owners' efforts to support the post nearby! It can be as simple as a sign like above, a military discount/Reward or a friendly smile/handshake. The message you send should be clear: You appreciate their service to your country and their business as well! Have you seen other images of military appreciation? Send them to us so we can share with others! I began this blog with an image search and that brought tears to my eyes. I found one image of a young woman laying on a grave at Arlington National Cemetery grieving for her lost fiance killed defending his country. There are many other images and stories of countless others, too. I could not show that particular image as I felt it would somehow violate the trust and relationship that was demonstrated by her grief. Business blogs are not normally emotion filled but on this Memorial Day what are you doing to recognize those who have paid the ultimate sacrifice to protect you and your family? Show the military community that you care; participate in the event by more than opening your doors for sales, etc. Products and services are critical to your success--I get it! 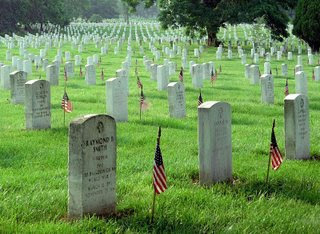 But on this Memorial Day, remember those who made it possible to enjoy the freedoms we have-- get it? Businesses need to market their product and/or services to increase sales and develop customer loyalty. Do you have a large military customer population nearby? How far away is the nearest post, base, camp, station, etc. Do you know the demographics? How can you reach them? 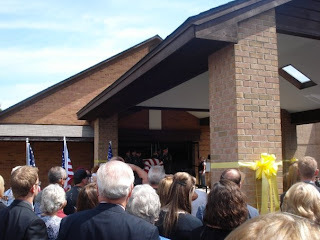 One great idea is to participate in special events at the installations when an opportunity is there. We recently participated in a special "Field Exercise Priceless Packages" at Ft Sill, OK where we saw a large turnout of businesses targeting military spouses of deployed or soon to be deployed soldiers. The businesses that attended the event recognized the audience and were prepared to tell their story and message. Some provided door prizes for the audience, others sent small packages to be placed in the gift bags presented to each attendee; major corporations such as USAA sponsored the event. Each knew that the audience was theirs to target. But one of the best marketing efforts that we saw was About Face and Body Therapy Spa who sent representatives to give a short chair massage while attendees waited for dinner and during breaks in the presentation! 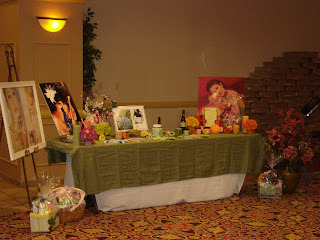 They had a beautiful display, took the opportunity and provided an outreach that will increase sales. The next Field Exercise will be at Ft Bliss near El Paso, TX in June. Take the opportunity to participate if you want to reach the military audience at that post. There are many ways to assist military families such as simply recognizing them for their service. Can you empathize with your military audience? Many have had multiple year long deployments--quite a sacrifice and a smile and a small gift could gain you a lifetime customer! 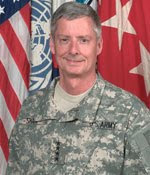 Gather information about your military community through military newspapers, participating in Chamber of Commerce military committees, military blogs, the installation public affairs office and social media such as twitter (a great to stay in tune at http://twitter.com/militaryavenue). Best wishes on a successful military sales campaign through involvement in Your Military Community! So what have you planned to honor the spouses in your community? It is not too late. If you see the flash of their ID as they make a transaction be sure to thank them! Perhaps set out a bowl of chocolates with a little note of thanks for any military-spouses that walk through your doors. Of course they give so much more but just an acknowledgement that they are appreciated can put a smile on their face. Another idea: You could put a sign on your store-front: "If you are a military spouse come in for a free rose." Have a supply of roses on hand. Don't expect them to buy. Don't make it a sales-pitch opportunity. Just a simple chance to say Thank you. Place a sign outside of your door: "Military Spouses are the Heart of the Military" Offer a significant discount on their purchase for the day. Do you have a surplus of stock? Extra bottles of lotion? Extra home decorations? Seed packets? Whatever it may be that you are in the business of selling. Perhaps you can give something to each military-spouse that walks in the door that day, or weekend. It will clear some of your extra stock and can be a nice little gift. I am a military-spouse. I just endured the longest year of my life. A deployment in Iraq left me at home as a single-mom with three growing boys. I missed the love-of-my-life. I handled things at home on my own. But with strength I became stronger! I know there are other spouses out there that want to hear 'Thank You' for keeping the embers at home lit! Summer is quickly approaching so this ad at Ft Carson brought a lot of sympathy votes for hot temperatures, family times and ice cream! Click here to view coupon featured at Ft Carson! A special thank you to Cold Stone Creamery and all of our MAPP partners for supporting your military community with your Rewards. MilitaryAvenue really is the street to connect the military community and your business. Leanne had written an earlier Social Media blog and I wanted to share an example of exactly how they can be used to connect your business with the military community! A great story for a Friday afternoon during a busy week! This sale opportunity started with a question in Answers on MilitaryAvenue.com from a military family relocating to the D.C. area at Bolling AFB. If you are not familiar with the area it can be very intimidating and the spouse asked several questions and one in particular caught my eye. They were in need of some reasonably priced furniture and asked how to find it in the new area on Answers. I had a follower on Twitter from CORT Furniture and recognized that they had stores in that area. So I asked Tom Allen on Twitter to respond to the question and help them out! Tom saw a great opportunity to help a military family settling into his area! A new customer from the social media! You can see Tom's response to the question posed on Answers . He used the opportunity to assist the family, provided information that they had requested and told them how to contact the nearby furniture store. He also mentioned CORT Furniture's MilitaryReward of 15% off so that other readers could see his offer too! Want to share with us on Twitter and Answers? 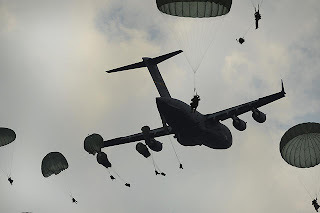 Follow MilAve_Col_K and MilitaryAvenue on Twitter! Want to help Answer military questions in your area? Sign up as an Expert and respond to their questions just like Tom did! Thank you for your great support to the military community!